The Estate Planning Law Firm, P.A. This Florida Probate Attorney and Florida Estate Lawyer website is designed to provide Florida Probate and Inheritance Law information and the Florida Law Firm services that we offer. We welcome the opportunity to talk with you and to discuss how we may be of service. The Estate Planning Law Firm, P.A. is a Florida Probate and Inheritance Law firm located in Hollywood Florida and in Broward County, Florida. The law firm helps represent Personal Representatives with Florida Probate and Estate Administration. We help all clients with Florida Probate Administration and Florida Estate Settlement. Email to [email protected] is also frequently checked and responded to for Florida Probate, Inheritance Law, and Wills help. The firm helps with advice regarding Florida probate avoidance, will and trust preparation, seeking to avoid Florida Will Contests, Florida will disputes and Florida probate litigation by having clients clearly and properly express their intentions and helping with Florida Inheritance Law. The firm can also be reached toll free by family members of Florida residents or those with real estate in Florida who are located elsewhere who can schedule a Florida Probate and Florida Inheritance law phone conference to discuss any issues of interest or concern to them. The Estate Planning Law Firm was founded and continues to operate on the premise of service to clients. Personal attention is provided to all clients. Florida Probate and Inheritance Attorney David Luber can reached at his direct extension of 954 920-2886. Flexible scheduling including day, evening and weekend appointments are available to provide a convenient time to discuss any Florida Probate, Florida Inheritance Law, and Florida Wills law issue. For children or other heirs or beneficiaries of prior wills who believe they were improperly excluded from their inheritance rights after the death of a loved one and are considering a Florida Will Contest, Florida Probate Dispute, or Florida Probate Litigation anywhere in Florida we can help explain Florida estate law and how the facts of your situation would apply, whether there may be a case worth pursuing and other practical considerations in bringing a probate litigation case. Florida Probate Attorney and Broward County Wills Lawyer David S. Luber founded this firm. After earning his law degree (a Juris Doctor) in Fort Lauderdale, Florida, David completed a Master of Laws in Estate Planning (Estate Planning LL.M.) at the University of Miami School of Law. He has taught Florida Probate to paralegal students at Broward Community College and is the chairperson of the Broward County Bar Association Probate and Trust Section. In addition to maintaining an active Florida Probate, Wills and Inheritance Law practice, David was admitted as an attorney to the bar in both Illinois and Arizona. He is generally available 9am until 7pm Monday through Friday and 11:30-3:30 on Saturday to discuss your legal situation with you and provide Florida inheritance law and Florida Probate guidance. Email is also frequently checked and responded to throughout the day. The law firm is run in a professional yet informal manner. David is extremely responsive and caring regarding clients and their issues and concerns. Although he is generally accessible when he is unavailable and assisting other clients, he will be sure to promptly return all calls and emails. After the individual desires and objectives of each client are determined and discussed, the firm then works in an efficient and reliable manner to achieve the clients objectives. Florida Probate and inheritance law attorney David S. Luber is an experienced and knowledgeable Florida Estates lawyer who has been admitted to the Florida bar since 1995. He serves on the Jewish Federation Professional Advisory Committee, is a director and past president of the North Dade South Broward Estate Planning Council, a member of the Broward County Estate Planning Council, the Chairperson of the Broward County Bar Association Probate and Trust Section, and is a member of the Florida Bar Association. He has also been a member of the National Academy of Elder Law Attorneys. David is also an alumnus of Nova Law Center in Fort Lauderdale, Florida and the University of Miami School of Law in Coral Gables, where he has served on the board of directors for Miami Law Alumni Association. David has trained law students at the University of Miami school of law how to use computerized legal research in the most efficient manner and utilizes these skills to effectively assist clients. He has also taught as an attorney and adjunct professor at Broward Community College teaching paralegal students about Florida Probate Law and Estate Settlement issues. He provided around 40 hours of instruction over a couple of months. The Broward County Community College Probate course covered subjects such as Florida Probate Administration, Florida Summary Probate Procedures, Florida Ancillary Probate, obtaining Letters of Administration for Florida Personal Representatives, starting the Florida Probate creditor period, handling probate creditor claims, distributions from Florida Probate estates, closing the Florida Probate Administration and all aspects of Florida Estate Settlement and Probate Law. The full Florida Probate Administration process of handling a Florida Probate Estate Administration from start to finish was explained so they could efficiently assist clients with these matters. clients step by step through Florida Probate Law, Florida Inheritance Law, Florida Wills and Florida Trusts, Florida Estate Planning, Estate Settlement, Living Wills, Health Care Surrogates, and Florida Elder Law. Updates regarding the status of all Florida Probate, inheritance law and other legal matters are frequently provided and clients are always fully informed of their situation. Please contact attorney David Luber of the Estate Planning Law Firm, P.A. if you or a family member would like legal assistance with Florida Probate, Inheritance Law Florida Trusts and Estates, Florida Estate Settlement, Ancillary Administration, Florida Summary Administration, Florida Intestate Probate Administration, Florida Summary Probate, Florida Estate Planning, Florida Wills and Trusts, Florida Living Wills, Florida Powers of Attorney or Florida Elder Law. Although the firm is based in Broward County and focuses on Broward and Palm Beach cases we are often able to assist with probate cases throughout Florida. 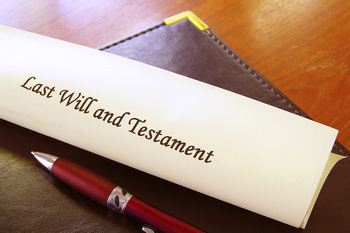 Probate Administration Attorney and Wills and Trusts Information. Florida Probate Attorney blog. Broward County and Palm Beach County Florida Inheritance Law – The Estate Planning Law Firm, P.A. Martin County Florida Probate – Hobe Sound and Stuart Florida Probate help. Broward County cities are: Coconut Creek, Cooper City, Dania Beach, Davie, Fort Lauderdale, Hallandale Beach, Hollywood, Lighthouse Point, Parkland, Pembroke Pines, Plantation, Tamarac, Coral Springs, Weston, Wilton Manors. Aventura, Bal Harbour, Bay Harbor Islands, Golden Beach, Key Biscayne, Miami Beach , Sunny Isles Beach. Probate Attorney help with Florida Probate Administration and Inheritance Law. We Probate estates in Florida Probate Court of nearly all Florida Counties including but not limited to the Florida Probate Courts listed below. Probate Attorney Blog selected by Lexis Nexis among top 25 Probate, estate, or elder law blogs in the country.